Open the sardines and gently pour the oil into a large saute pan over medium high heat. Add the 1 Tbsp olive oil to the sardine oil. Add the garlic to the oil and cook for one minute or until fragrant and sizzling. Add the capers and tomatoes and cook for another minute. Add the sardines and cook for another minute. 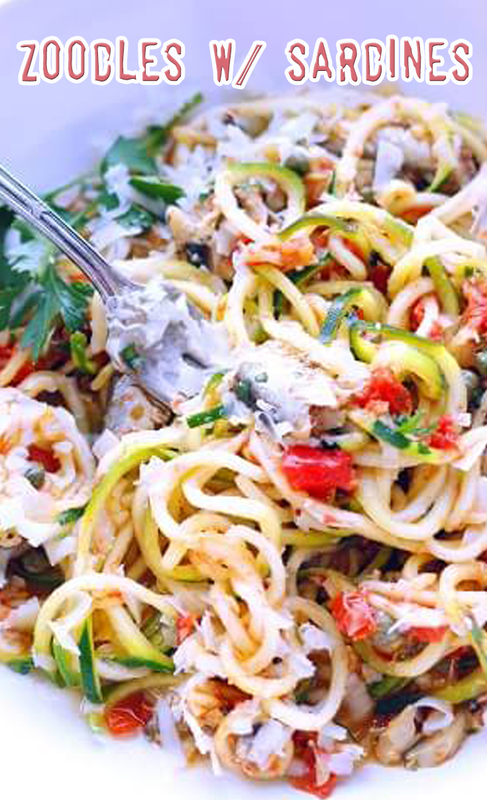 Add the zucchini noodles and stir gently so you don’t break up the sardines too much. Cook for 2 minutes – or longer if you like them really soft. Parmesan cheese on top is optional.